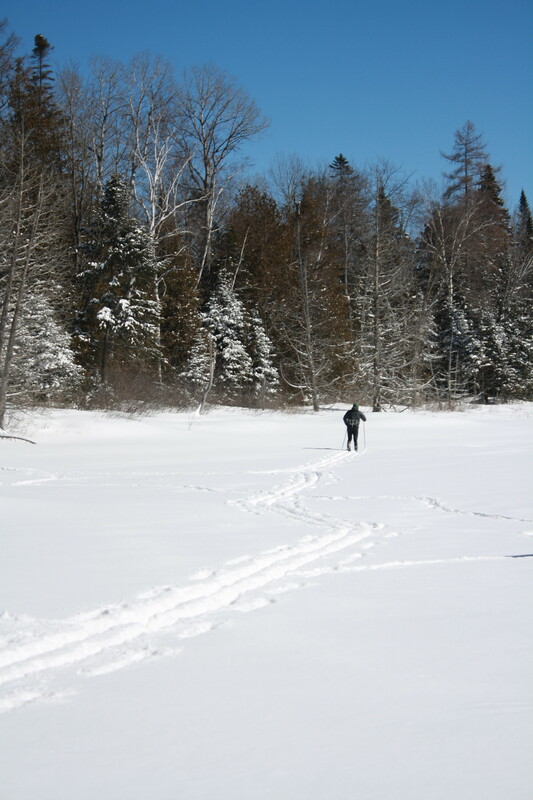 Our well maintained cross country skiing trails will give you the best experience. 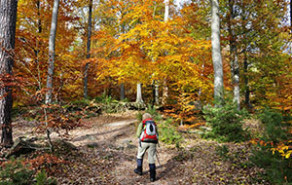 We have converted approximately 5 kilometers of cross rackets or ski trails. Please note these are mountain tracks that go up and down !!! These trails are located all around the tree houses and shelters and are really easy to access. 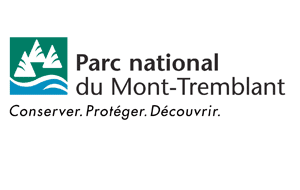 Snowshoe trails are available on the site around the tree houses and shelters to give you the experience of a beautiful winter hike. Infinite space awaits you explore freely with your snowshoes. 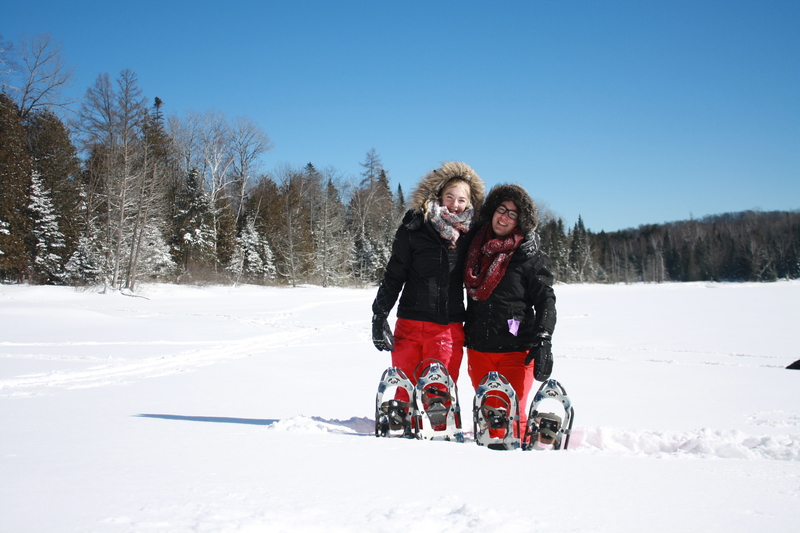 Adult and kid sizes snowshoes are available for loan on request. 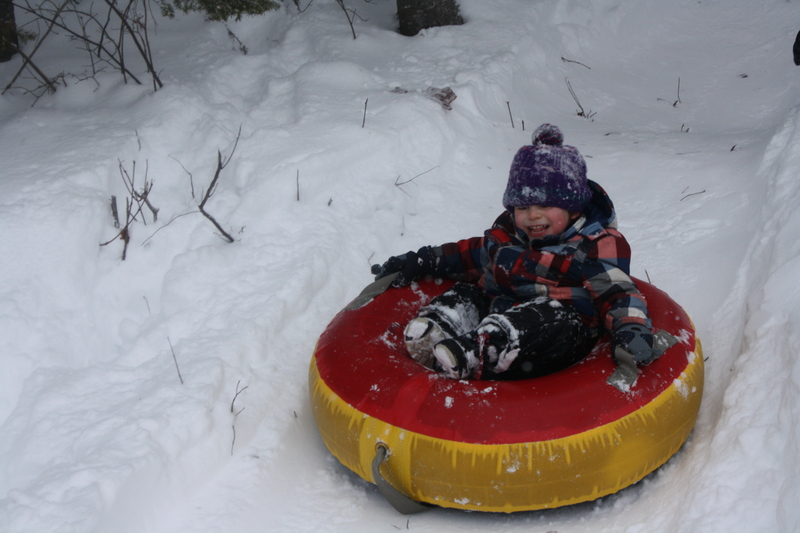 A beautiful slide downhill is available at Lake unraveled for children and adults !! It is close to the tree houses and shelters. 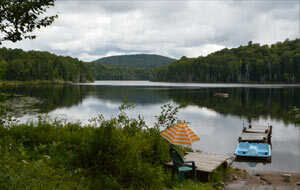 The Démélé lake has set 2 bathing locations. A pedalo is also available for you to use on the lake and enjoy the landscape. A floating dock located in the middle of the lake will also give you the opportunity to swim in the middle of the lake and dive or relax on the dock. The beach and dock are common access to the rustic cottage, to tree houses and shelters. site map will describe the access. 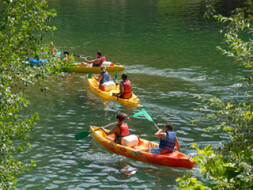 We provide 2 canoes that will give you the opportunity to go in excursions on the big Démélé Lake and or the Little Démélé Lake. Life jacket of all sizes are available. 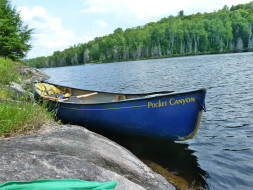 For the more adventurous, you have access to Long Lake or Rognon Lake through small ports. The Speckled trout of the Démélé Lake and the Little Déméléawaits! (Bring your fishing rod and your fishing license). 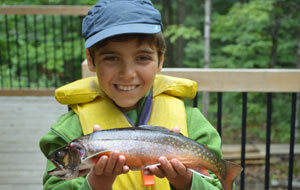 Fishing licenses are available at the Village convenience store. If you love downhill skiing, Mont-Blanc offers many family tracks. 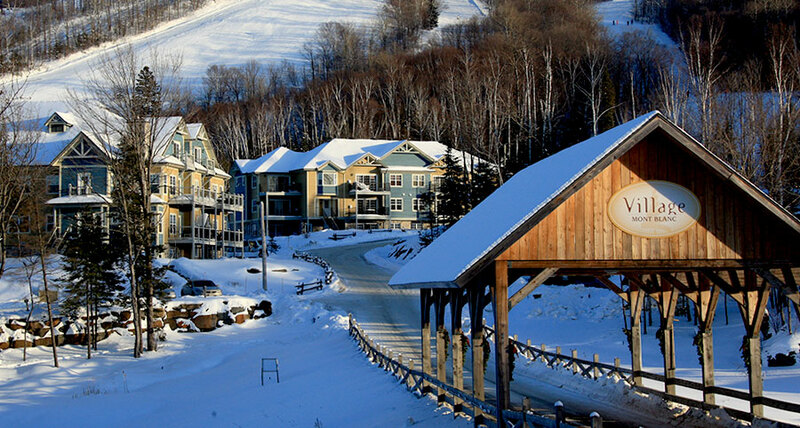 The ski resort is in St Faustin, at about 45 minutes by car. 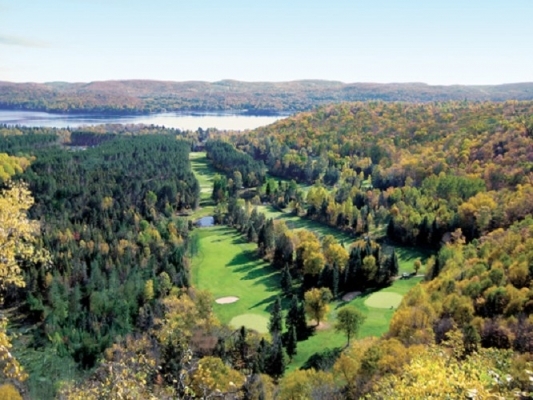 The Maskinongé golf is a beautiful 9 hole circuit located at only 10 minutes from our shelters. Perfect for the golf lovers and for the ones who want to discover the sport.